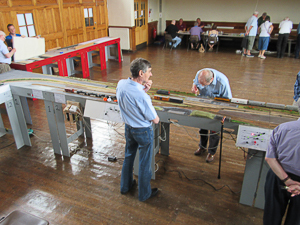 Our Open Day is an opportunity for visitors to see work in progress on layouts, perhaps with one or more layouts being operated. 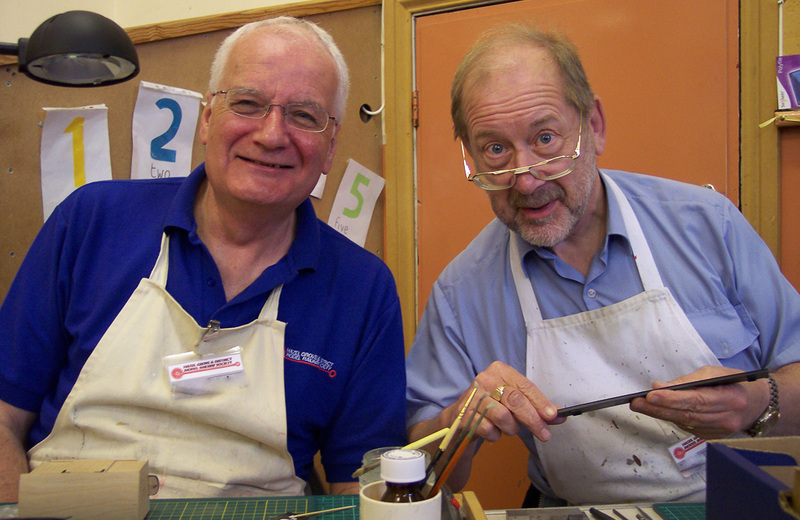 You can chat with Club members and find out what you want to know in as much depth as you would like. Learn about all the mistakes we have made, so that you don’t do the same. Get the benefit of all our experience. 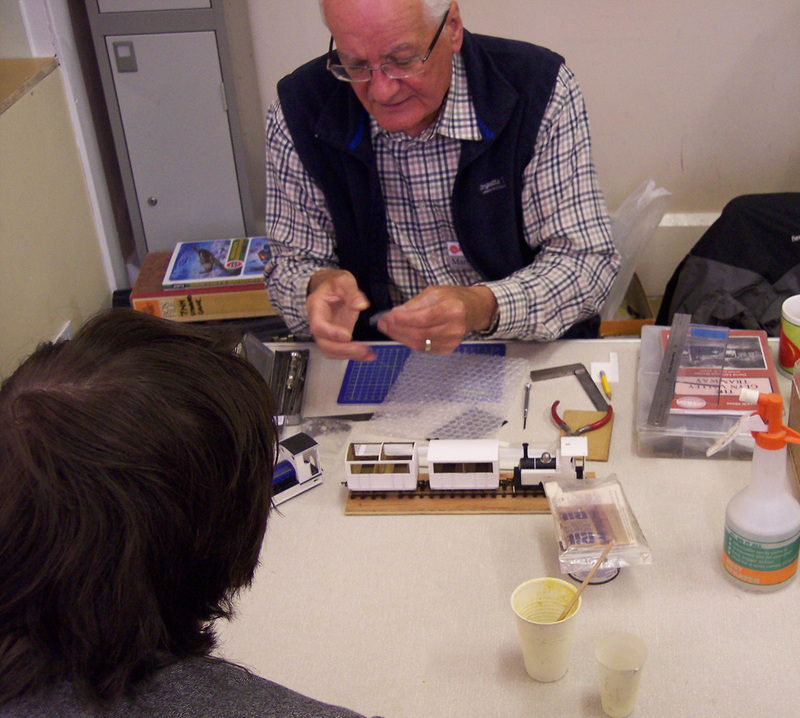 until our next Open Day , so why not make a note in your diary to come to see us? Open from 10:00 to 16:00. Entry is by way of the rear (blue) doors from the rear car park. 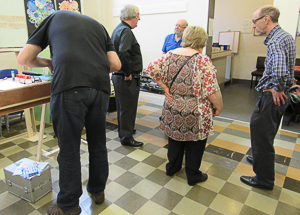 Admission is free, but donations are always welcome to offset running and room hire costs. All surplus proceeds are donated to Church funds. Limited refreshments will be available. Remember to put the details in your diary! Work and conversation adjacent to the Tea area! 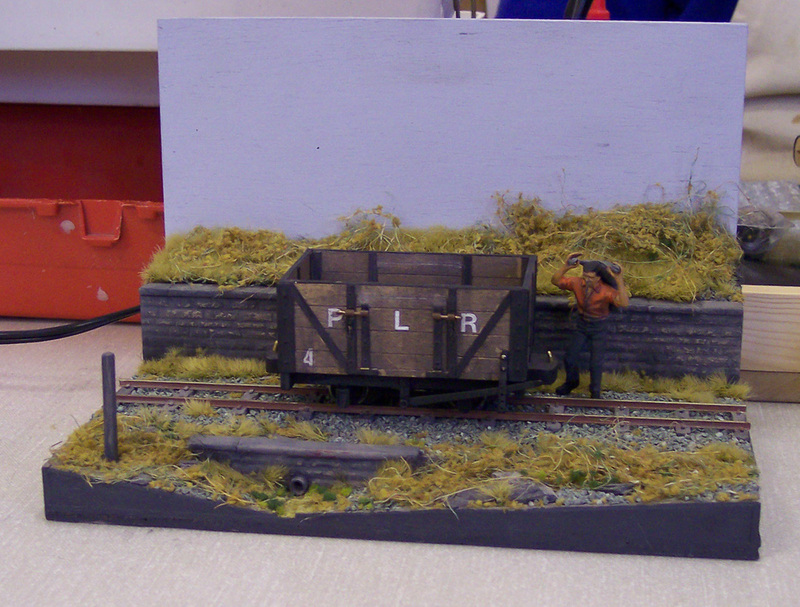 A number of Club layouts will be running or being worked on, together with (subject to availability) members private layouts. 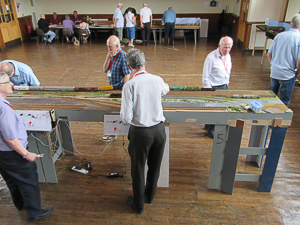 A variety of modelling techniques will be demonstrated and our local trader (SMTF Models) will normally be in attendance. 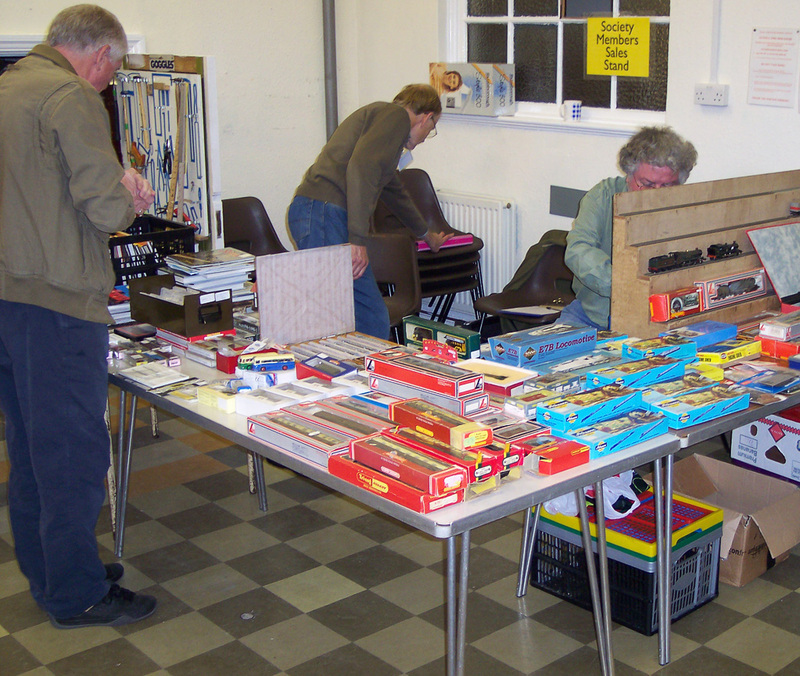 Our Club sales stand will be there, so you can browse for a bargain or two or three…. 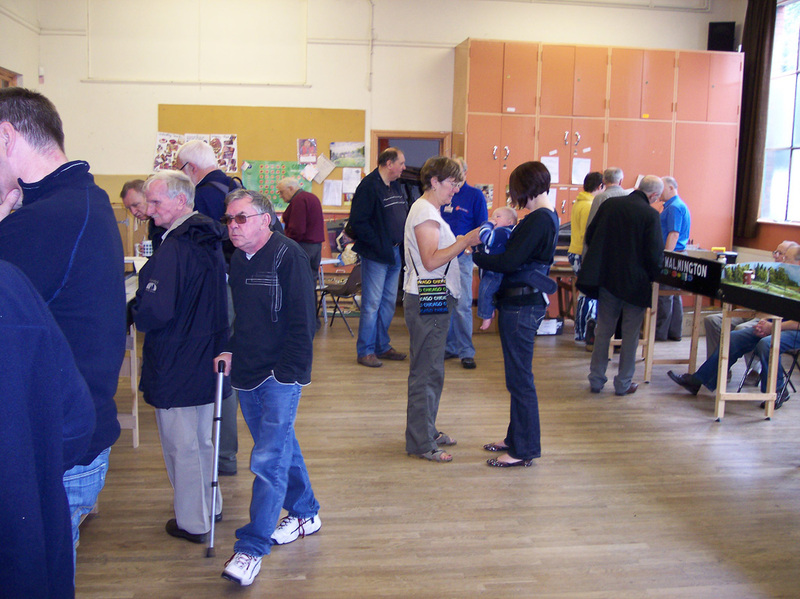 The Club sales stand- second hand bargains to browse and be tempted by! We look forward to seeing you at our next Open Day!